Welcome to the Reading Room – a short round up of interesting reading about anything and everything to do with digital communication. A practical approach to fighting back against unwanted online exposure and how to proactively manage the privacy and security of your personal data. The author recommends that as a digital citizen, you should share less, block unnecessary gathering of data and query what data companies store about you. A thought piece on whether data is the ‘new oil’, and why we should be concerned about our personal data privacy in terms of what information is collected about us, how it is processed and who it is shared with. An article on the findings of a research collaboration into how much data is gathered when we download smartphone apps (a lot), and how much of this is transparent to the user (not much). The findings cite the need for greater transparency, more education and strong regulatory frameworks to monitor and control the exploitation of data. 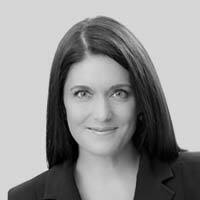 Alison Treadaway is the ​Chief Marketing Officer (CMO) at Striata. She joined Striata in 2002 and served as managing director of the African region for 13 years. Prior to this, her experience in Internet-related solutions included marketing and sales positions at Internet Solutions and Dimension Data. Her professional certifications and licenses include a Bachelor of Arts (English, German, WITS) and a Post-graduate Diploma in Business Administration (WITS Business School).